Read more: The TUC Team Makes the Cover! The year 2017 will always be special for Ring-Co as we introduced our tracked utility carrier (TUC). It was a year of challenge, of triumph, of teamwork, and of promise. Mostly, it was rewarding. We loved being able to watch the disable veterans and the thrill-seekers of our world discover a way they could be, not simply mobile, but adventurous. The ninth annual Petty Charity Golf Classic was held this past week (Oct 3-4, 2017), with all proceeds benefiting the Petty Family Foundation. The charity classic started at 6pm on Tuesday, at Petty’s Garage in Level Cross, NC. The evening included a dinner, a silent auction, and a live auction. The next morning, the golf classic began with a shotgun start at 10am. Participants and guests enjoyed lunch and other fun activities throughout the afternoon. Audie Kemp is a paraplegic due to a misdiagnosed tumor on his spine at age five. Audie used that unfortunate diagnosis as a catapult for his passion and his occupation. As a NuMotion ATP (Assistive Technology Professional), he is an expert in qualifying his client’s disability or difficulty and aiding in the selection of necessary equipment. He played wheelchair basketball and is a board member for the RHI Sports Program contributing his 30+ years’ experience with adaptive sports. Camp Atterbury (Indiana) hosted its third annual Community Day event at the North Barracks complex this past Saturday, September 16, 2017 from 10am-4pm. This public event hosted a variety of fun and family-friendly activities like live music, a petting zoo, tours of the camp, and even a live fire demonstration. 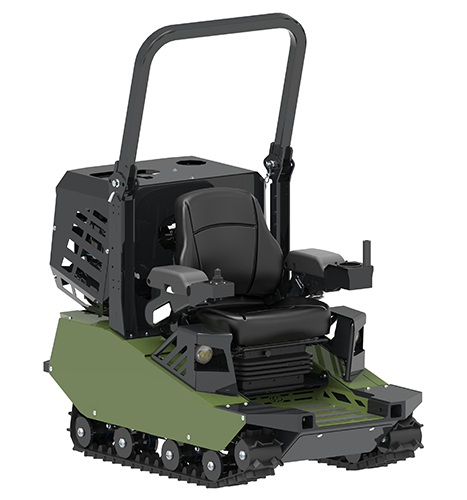 Among many other static displays, including several military vehicles, Ring-Co’s TUC team was able to exhibit our new TUC – tracked utility carrier!